While most vacuum cleaners come with dirt collection cups that have good enough capacity to get the job done without you having to struggle with cleaning them, it is important that you empty them regularly. This is not because your vacuum won’t work if the collection cup is full but because it will have to work harder than it is meant to, causing damage to the appliance. It is a very easy task so you should try and make it a habit to empty the cup before you put it back in the closet after using it each time. In addition to this, make sure that you clean the collection cup thoroughly at least once a month so that your vacuum cleaner stays in the best possible shape. Use warm, soapy water and make sure that you let the cup dry completely before it is put back into the vacuum cleaner. The main component of your vacuum that keeps your house clean is the filter (or filters) that it comes equipped with. These filters need to be cleaned or replaced on a regular basis to ensure that the carpet or upholstery that you are cleaning is actually cleaned as their main function is to keep dust and dirt inside the vacuum. If the filter stops doing its job, there is a chance that you will be spreading more dirt around the house than sucking it up! There are different types of filters that can be found in vacuums. If your vacuum uses a foam filter, you can just wash it by hand every couple of months and use it again. Again, make sure it is completely dry before you replace it! The newer vacuum cleaners, on the other hand, come with a cartridge-style specialised HEPA filter. These filters should not be washed. Instead, consider replacing the HEPA filter about two times a year. 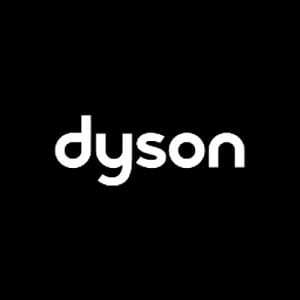 If you are facing some trouble trying to gauge what type of filter your vacuum has and how it should be cleaner, refer to the owner’s manual that came with the product, or simply search online! The filter isn’t the only thing that will gather up dust and dirt, the brush at the bottom of your vacuum can also pick up hair, strings and all sorts of dirt over time, reducing its efficiency. If you see that the brush has gotten clogged up, try to use a seam ripper by running it through the hair tangled around the brush. This makes it much easier to pull out the hair and dirt! While you’re at it, also make some time to check out the belt that turns the brush to see if it is loose or starting to tear. If you see a problem, it is time to replace the belt. It isn’t very tough and replacement belts can be found online quite easily. Inspect the vacuum’s hose to make sure there are no blockages. Remove it from the vacuum to make your job easier! Once you have done all the cleaning from inside the vacuum, it is time to tend to the exterior of the vacuum cleaner. Use a clean, damp microfiber cloth to wipe down your vacuum, giving special attention to areas where pieces connect. This will make sure that the vacuum can create a tight seal in use. Another great product to clean the vacuum cleaner is rubbing alcohol, which you can put on a cotton ball to wipe down the bottom of your vacuum cleaner. This is a great way to disinfect the area and avoid dragging bacteria from room to room while you clean. Rubbing alcohol can also be used to buff out any scuff marks on your vacuum. While the process of cleaning your vacuum and its filter is pretty simple, there are some things you should keep in mind to ensure that your vacuum cleaner is always in the best condition. Here are some things to keep in mind. Know Your Filter: While a filter should be washed and cleaned after 3–4 uses, it is changed once a week if used daily or once a month if used weekly. Also, find out if you can wash the filter because if you wash one that shouldn’t be, it will be ruined! Clean the Filter Outdoors: This is particularly important if you don’t want dust and dirt from the filter to fly around your house. Make sure you do it outside so that you avoid this problem. Find Out the Filter’s Lifespan: Even if you’ve been cleaning the filter regularly, you will need to replace it after 3 to 6 months of use, depending on the particular filter. 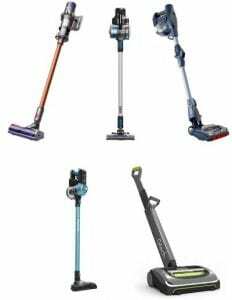 Refer to the vacuum’s manual for the specifications. Don’t wash single-use filters! This will affect its cleaning process and can damage your vacuum. Don’t try to brush the filter with an abrasive material. Don’t scrub between the pleats of the filter between pleats. Don’t use soap when you are washing the vacuum filter. Don’t place the filter on a hot surface to dry! Do not put the filter back in the vacuum till the time it dries up completely to avoid any problems with electricity. Don’t clean your vacuum’s HEPA filter! The filter is made up of tightly-woven fibres, which will lose their effectiveness if washed or scrubbed. 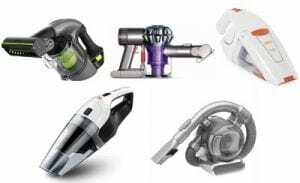 All these details will help you navigate the process of cleaning your vacuum and its filter effectively but if you do come across additional problems, it is recommended that you call your local vacuum repair shop. They will be able to offer you expert advice and fix all the issues easily and inexpensively.